Will feature nearly two dozen battery cars. 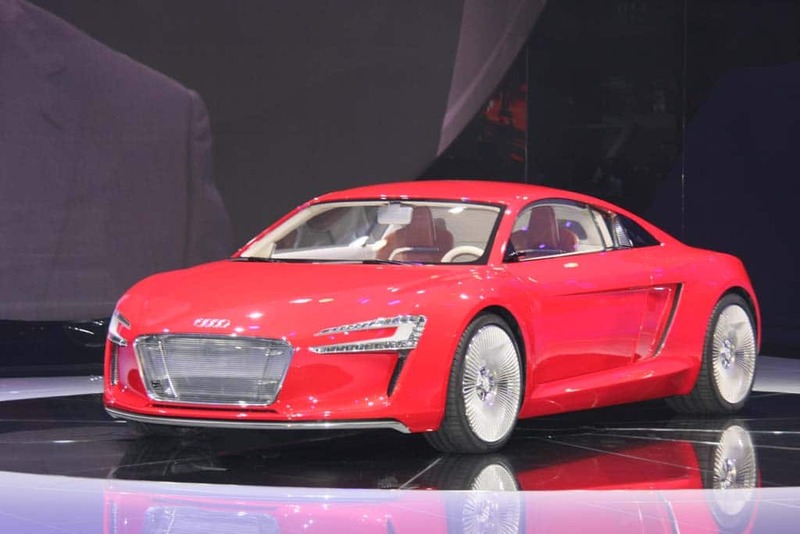 A variety of battery vehicles, such as Audi's e-Tron, will appear on Electric Avenue, a new feature at the 2010 Detroit Auto Show. “Electrification” has become one of the industry’s latest buzzwords, and battery cars have filled the floors at several recent auto shows, notably including September’s big event in Frankfurt, Germany, where the technology was shown on everything from minicars, like the Volkswagen e-Up, to high-powered sports cars, such as the Audi eTron. One recent industry study reported that as many as 40 or more battery-based vehicles – including hybrids, plug-ins and pure battery-electric vehicles, or BEVs – will debut in North America over the next three years. Manufacturers will still have a chance to preview their newest vehicles at their own stands, during the 2010 NAIAS, but the sponsors of the 2010 Detroit Auto Show also wanted a concentrated space to “educate a diverse audience” about the coming technology, said Detroit dealer and the upcoming show’s chairman Doug Fox. Sponsored by chemical giant and auto supplier Dow Chemical, the 27,000 square foot Electric Avenue is also planned to show off the various technologies and materials that will be needed to enable the use of battery power. Even the most advanced lithium-ion batteries can only store about 1% of the power, by weight, found in gasoline, noted General Motors’ product development chief, Tom Stephens. So, it is critical to find ways to get a lot more mileage out of any given amount of power. That means lighter weight bodies and chassis, low-rolling resistance tires and improved vehicle aerodynamics, for starters. The 2010 Detroit show will also revive the EcoXperience, which debuted at Detroit’s Cobo Hall last January. It featured a quarter-mile track where visitors to the show could actually get behind the wheel of a variety of advanced powertrain vehicles. This entry was posted on Thursday, November 12th, 2009 at and is filed under Automobiles. You can follow any responses to this entry through the RSS 2.0 feed. Both comments and pings are currently closed. Bill, yes, in fact they did. Completely forgot about that connection.